Coppell junior midfielder Alyssa Roemer attempts to get the ball back in the Cowgirls’ possession at Buddy Echols Field on Tuesday. The Cowgirls won, 2-1, against Jaguars in their last home game. If fans had shown up just two minutes late, they would have missed most of the action in last night’s girls soccer game. 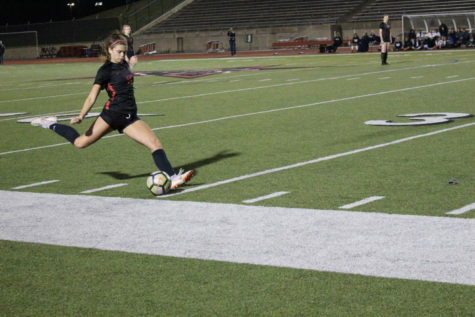 Just 30 seconds into the game, Coppell senior right wing Rebecca Watley launched a goal into Flower Mound’s net to give the Cowgirls an early lead. However, that was soon matched by the Jaguars with a goal just a minute and 30 seconds later. 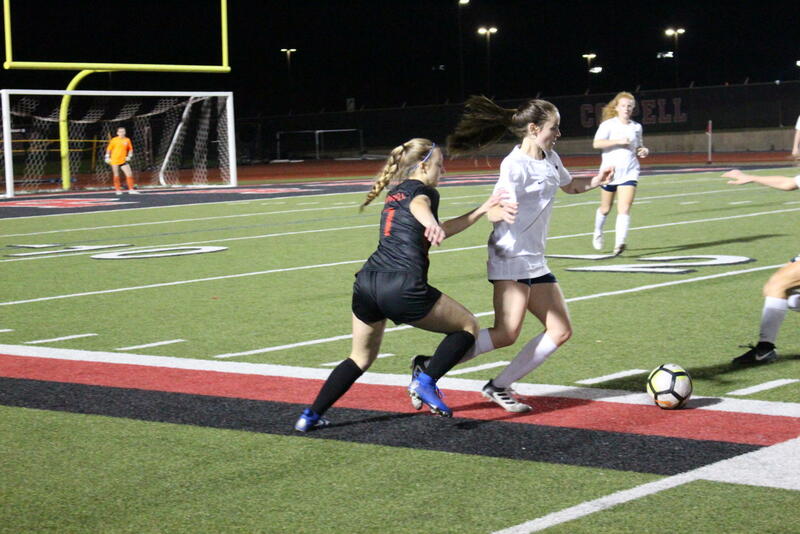 By the end of the game, however, Coppell (23-1-1 overall, 13-0 in District 6-6A) came out victorious with a 2-1 win over the Jaguars (7-11 overall, 5-7 in District 6-6A). Coppell junior midfielder/defender Katie Odum takes a free kick against Flower Mound at Buddy Echols Field on Tuesday. The Cowgirls won, 2-1, against Jaguars in their last home game. This was due to a goal late in the first half by sophomore left wing Jocelyn Alonzo, which ended up being the final goal of the game. 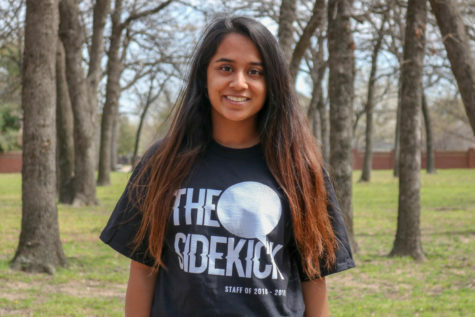 Prior to the game, Coppell recognized its seniors by having them march down a row of teammates and balloons with their families – all while wearing their first soccer jerseys from their youths. After only having two seniors on last year’s squad, the team was very similar coming into the 2019 season. 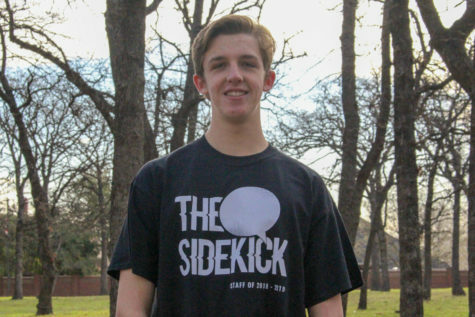 With eight seniors this year, the Coppell team has had time to develop as a unit, thus strengthening its play. The Cowgirls finish their season on Friday against Irving Nimitz at 7:30 at Ellis Stadium in Irving.